Delivery might have once been just an afterthought, a necessity to get products out to customers once the purchases were made, but this is not the case anymore. Recent research from the Interactive Media in Retail Group (IMRG) suggests it has a lot to offer brand owners – your delivery proposition can be a source of competitive advantage, an acquisition driver and even a loyalty-building tool. Let’s think about it… a positive shopping experience encourages future purchases and happy customers are more likely to come back and recommend your company to their friends and family. This is a great opportunity to increase sales and build strong brand reputation. Below are a few suggestions to help retailers improve delivery experience for their customers. Offering a wide range of delivery options for customers helps ensure their parcels are delivered the first time. Next day delivery works great for most, but if a customer works and cannot arrange to stay at home at short notice, they may want to choose a more remote date. Vague delivery slots may also discourage customers. Not everyone can commit to waiting around for their parcels all day long, especially if they work or need to make other arrangements for the day. 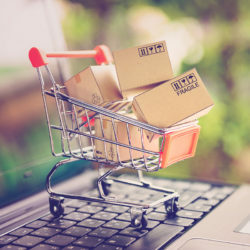 Indeed, the IMRG research showed that 52% of respondents had abandoned an online purchase at the checkout stage specifically because of delivery concerns or issues. Consider offering more precise delivery slots as well as weekend and evening options if possible, as this will help guarantee customers are home to accept their deliveries. Ensure you offer clear delivery and returns information on your website, including your delivery options and charges as well as returns terms and conditions. This will help customers familiarise themselves with options available and give them a chance to review the refund policy in advance. Understanding what can and cannot be returned and at what cost will help avoid disappointments at a later date. If possible, let customers add notes to their orders, including information on their preferred safe location if they are not at home at the time of delivery. This will give your customers peace of mind about their delivery, minimising the risk of refunds as items are less likely to be stolen or lost. Sending customers a text message or an email (depending on their preferences) to inform them about the status of their order is a great way to keep them in loop. Alternatively you could issue them with a tracking code they can use to check the progress of their order online. Packaging plays a key role in protecting your products in transit, so choosing the right solution is paramount to ensure your parcel arrives intact with your customer. Durable, fit for purpose packaging that is a good size for your products helps maximise protection and ensure your parcels fit through your customer’s letterbox (where possible). Don’t overpack as too much void fill can “inflate” your parcels and cause them to burst in transit. Heavy packages will also cost you more to ship and will definitely not impress your eco-conscious customers (overpacked parcels equal extra packaging waste and additional material costs). At Macfarlane Packaging, we can help you find the right packaging solution for your products to prevent overpacking while ensuring maximum transit protection. We can design bespoke solutions and offer a wide range of automated packaging options to help you optimise your packaging operation.